Having left China for five years to study photography, Yan Wang Preston returned to her homeland with an altogether new perspective – both her eye, and her ideas, had changed irrevocably. 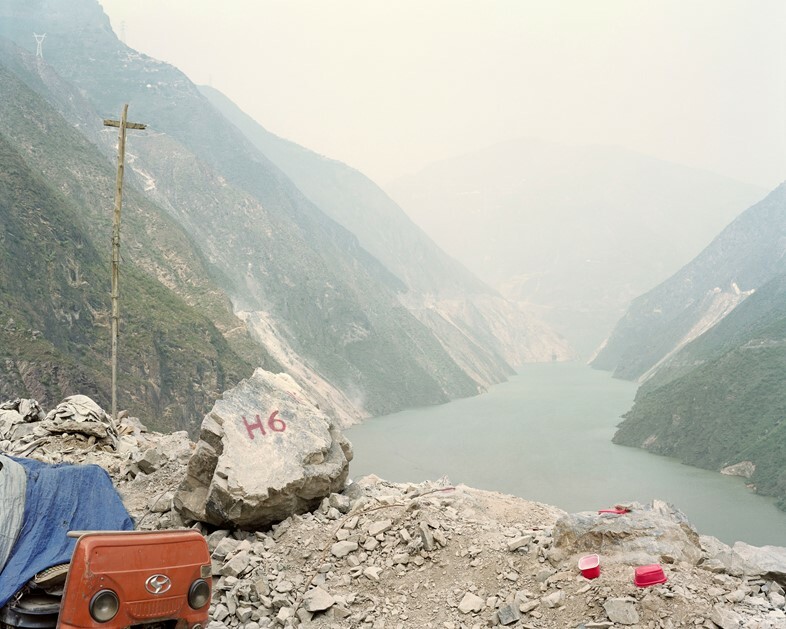 The result of this personal shift is a project with ironic proportions: its epic scale, charting the entire length of China’s largest river, the Yangtze, serves to banalise its own epicness. 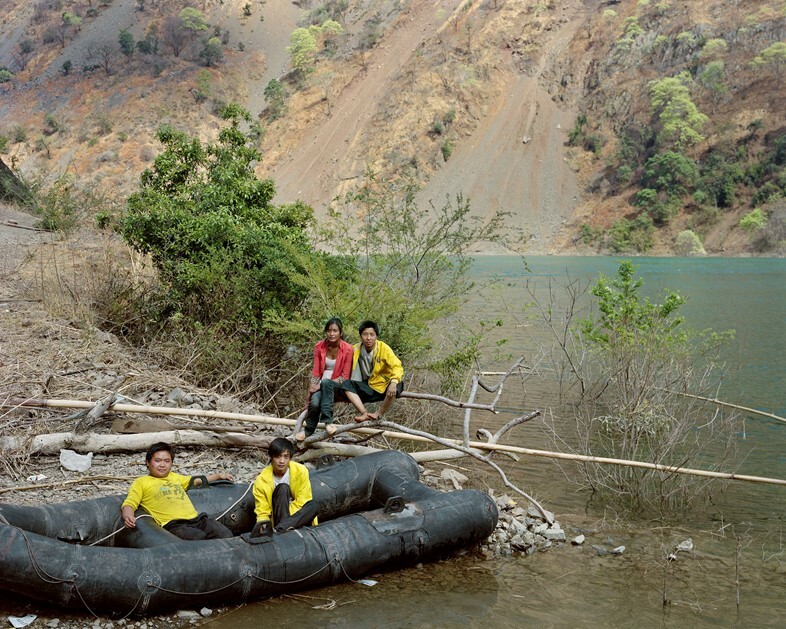 By setting herself a regimented route that would document the 6211km long river at 100km intervals, Preston’s imagery seeks to unpick the myth and legend surrounding her ‘Mother River’, and the effect is an exhaustive-seeming documentation of the country’s inexhaustive source. Though her route through the project was “vernacular” her images are by no means trivial; instead they eschew typical ideas of beauty in landscape and capture a cool calmness rarely associated with the powerful, polluted river. Preston’s images are courteous to her subject, yet honest – nonpartisan, even – and form the basis of an expansive new exhibition at Impressions Gallery in Bradford. “I remembered China as the posters, the songs, the poems. You know the abstract things and images,” Preston explains of what she’d expected to capture on her journey. “The Yangtze is an iconic river in China – it’s our mother river, it’s printed on our money. It’s also celebrated in our songs and poems written from thousands of years ago. When I went, I saw none of that. I realised that everything I knew was given to me by representations; from all sorts of channels, and representations come with a lot of politics, ideologies, ideas – [none of which are] equal to the physical landscape that I saw in front of my eyes. 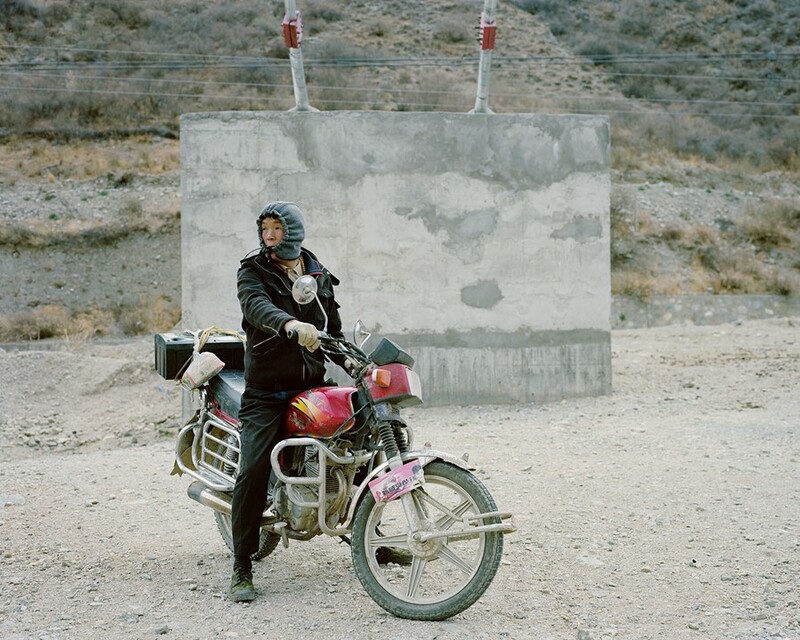 And so I worked out that the mother river, as the Yangtze is known, is a mythic concept.” In acknowledging the river’s many layers of myth and meaning, Preston decided her only way to create something new was to apply a strict regimen – her “Y point system” – following the coordinates to stop at every 100km interval, no matter what the view. Her non-hierarchical approach confounded many: often her driver told her not to bother stopping, and once she was arrested photographing a small village, because its inhabitants considered the spot so unremarkable that she could only be up to no good. Preston added other rules that determined the images she would not create. In a bid to avoid the traps of photographic representation that came before her, she would not picture ruins, pollution, nor any obvious landmarks, evading all the trademarks of the mid-20th century Chinese photographer that had informed her ideas of China’s mother river. At the 25th point on her journey, she was stood in an entirely ruined village, Preston’s only resort was to turn to the sky. When she finally arrived at the river mouth – the site of an industrial fish farm, the water’s edge filled with dead fish – she simply turned out towards the sea. “The light was perfect because the whole world was almost just one colour,” Preston says. “There was just a light haze and sunshine, it was just very clear and there was no ship, no nothing, just the water and the sky and I thought, ‘it’s just perfect, this is exactly how I feel now, I’m just going to photograph this, I’m not going to wait’”. In avoiding these clichéd portrayals, Preston presents what appears to be a cleansed and neutral portrayal of the famous river, and thus an unseen China, freed from the restraints of well-worn narratives. At the same time, there is no sense of an attempt to beautify it – instead beauty emanates from the meditative, methodological state that her heavy machinery and epic trip enforced. Though methodology and impartiality directed Preston on her journey, her route along the river was abundant in emotion. It took six trips across four years for Preston to make her way across the 62 stops along the river, some of which she had to visit twice due to mechanical malfunctions. Much of this journey she did on her own, her husband back in their home in Britain; at night, she would listen to Leonard Cohen. “I had his songs with me [Sisters of Mercy and Suzanne were her favourites]; he just sings like a friend. At least, that is how I felt. In the evenings when I put that on in bed that kind of got me into another zone.” By the end of her epic journey, Preston was no longer travelling solo – she was pregnant with her first child. For support, her mother came along too: “there is something about this river; it is so big and it connects so much in China. It’s connecting the three generations of us already.” The ensuing collection of images are imbued with the gravity that only an exploration as colossal as Preston’s could achieve. Mother River is a touring exhibition that runs until June 24, 2017 at Impressions Gallery, Bradford.